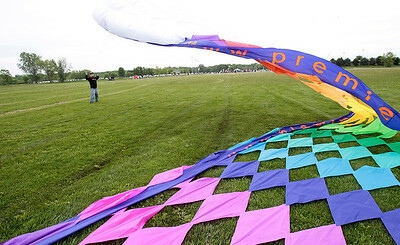 Kyle Grillot - kgrillot@shawmedia.com Chris Stubblefield of Chicago flies his quardrifoil kite during the kite festival Sunday at Lippold Park. 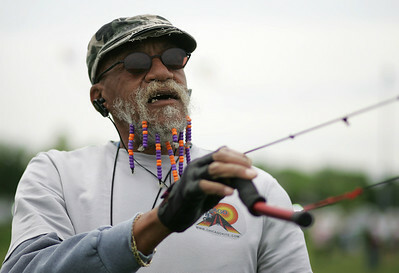 Stubblefield has been flying kites around the world for the last 20 years. The first 250 children receive a free kite kit and a demonstration on how to assemble the kite with a help from Chicago Kite Experts. 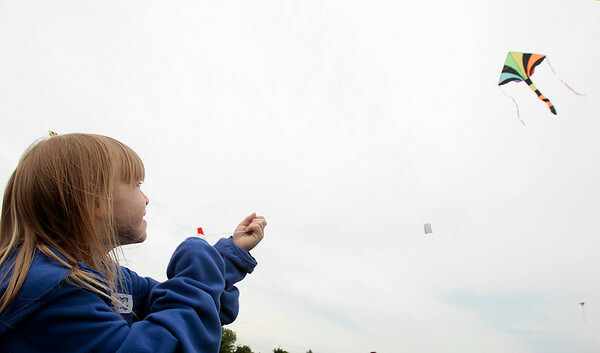 Kyle Grillot - kgrillot@shawmedia.com Josephine Neri, 3, of Crystal Lake chases down a kite her father, Anthony Neri, is flying during the kite festival Sunday at Lippold Park. The first 250 children receive a free kite kit and a demonstration on how to assemble the kite with a help from Chicago Kite Experts. 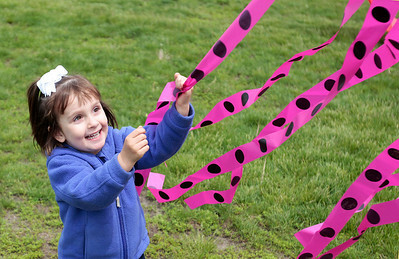 Kyle Grillot - kgrillot@shawmedia.com Chloe Massaro, 7, flies a kite during the kite festival Sunday at Lippold Park. The first 250 children receive a free kite kit and a demonstration on how to assemble the kite with a help from Chicago Kite Experts. 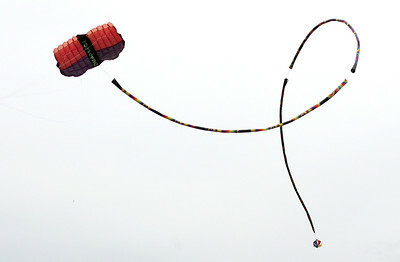 Kyle Grillot - kgrillot@shawmedia.com Troy Stringer lifts a large kite into the air during the kite festival Sunday at Lippold Park. The first 250 children receive a free kite kit and a demonstration on how to assemble the kite with a help from Chicago Kite Experts. Kyle Grillot - kgrillot@shawmedia.com An eagle kite flown by Hayley Massaro glides through the air during the kite festival Sunday at Lippold Park. The first 250 children receive a free kite kit and a demonstration on how to assemble the kite with a help from Chicago Kite Experts. 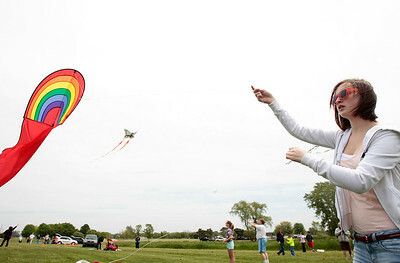 Kyle Grillot - kgrillot@shawmedia.com Rhiannon Neri, 13, of Crystal Lake flies a kite during the kite festival Sunday at Lippold Park. The first 250 children receive a free kite kit and a demonstration on how to assemble the kite with a help from Chicago Kite Experts. 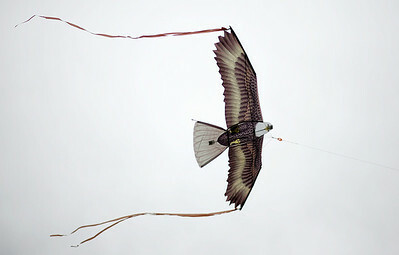 Chris Stubblefield of Chicago flies his quardrifoil kite during the kite festival Sunday at Lippold Park. 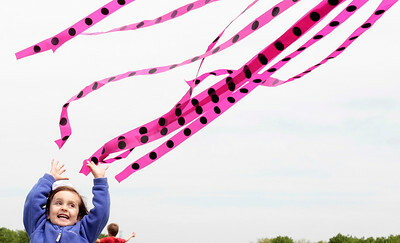 Stubblefield has been flying kites around the world for the last 20 years. The first 250 children receive a free kite kit and a demonstration on how to assemble the kite with a help from Chicago Kite Experts.